Our first End of Quarter for 2017-18 was celebrated a little early this year and this time we attended the third of Goodwood Racecourse’s “Three Friday Nights” events; an evening of horse racing and music provided by some of the world’s biggest dance acts. End of Quarter is a tradition at Compass Associates, and our chance to celebrate the achievements on the last quarter and recognise the hard work our employees put into providing a first-class service for our candidates and clients. 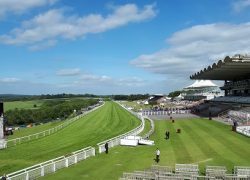 We arrived at the racecourse in West Sussex on a beautiful summer afternoon and were welcomed with drinks on our balcony in the Charlton Boxes which provided an excellent view of the racecourse and the stunning vistas of the South Downs. Compass Associates are very excited to be involved in Care Home Open Day 2017, for the 5th year running! We are proud to have been part of this event for every year since the start as it is a wonderful opportunity for care homes to open their doors to the public and host events and activities for their residents and the local community. We are supporting four homes within The Orders of St John Care Trust portfolio (OSJCT). OSJCT is a not for profit organising providing care for older people in 70 care homes across Lincolnshire, Oxfordshire, Gloucestershire, West Sussex and Wiltshire. The organisation also has a domiciliary care service operating in extra care housing schemes in the Oxfordshire, Wiltshire and Suffolk areas. Recruiter of the Year 2017 – Winners! 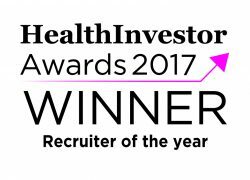 Compass Associates are delighted to announce that we are winners of the HealthInvestor “Recruiter of the Year” Award 2017, as part of Compass Holding Group, in the first year of entering! Last night’s awards saw a number of specialist health and social care providers across the whole of the UK come together for what is considered the leading industry event recognising and celebrating the best in the markets. It is for this reason that we are humbled to have won such a special award.